Electrotherapy uses electrical signals to interfere with the transmission of neural pain signals into the brain.It effectively slows down or distracts the message from the nerve to the brain. From a physiotherapy point of view, affecting one’s ‘Pain Gate’, whether in an acute or chronic pain episode, is crucial area of treatment and electrotherapy is a very useful resource where conventional medicines are not as affective. Electrotherapy can also involve the use of this electric current to speed tissue healing where tissue damage has also occurred. Much as electrotherapy has been a component of physiotherapy practice since the early days, its delivery has changed remarkably and continues to do so. The most popular modalities used these days are in many respects quite dissimilar to those of 60 or more years ago though of course they are based on the same principles. Modern electrotherapy practice needs to be evidence based and used appropriately. Used at the right place, at the right time for the right reason, it has a phenomenal capacity to be effective. Used unwisely, it will either do no good at all or possibly make matters worse – as would be true for any other therapy. The skill of the practitioner using electrotherapy is to make the appropriate clinical decision as to which modality to use and when, and to use the best available evidence when making that decision. 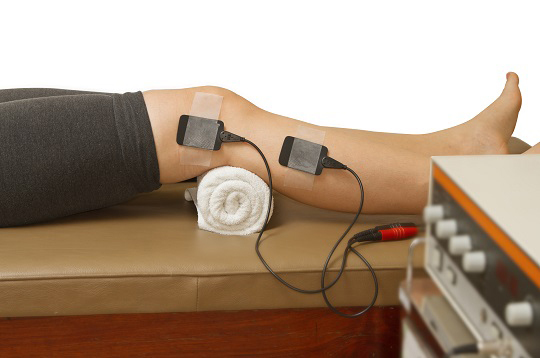 The term “Electrotherapy” in this context is used in the widest sense. Strictly speaking some modalities (Ultrasound and Laser for example) do not strictly fall into an ‘electrotherapy’ grouping (in that they do not deliver an electric current), which is why some authorities prefer the term ‘Electro Physical Agents’ (EPA’s) which would encompass a wider range. The evidence base to support the use of electrotherapy modalities as a component of practice is extensive, despite popular claims that these ‘agents’ lack evidence. There are very few occasions where an electrotherapy modality employed in isolation is the most effective intervention. Used as a part of a package of care, the evidence is strong and supportive.